My little Knight in shining armor...Bubba! I love our little town of Los Gatos!! 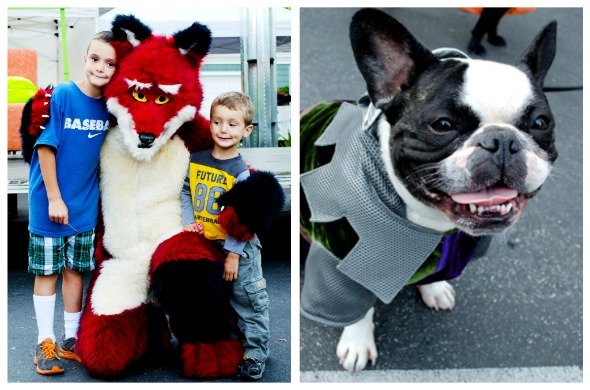 We have family friendly events for EVERYTHING! 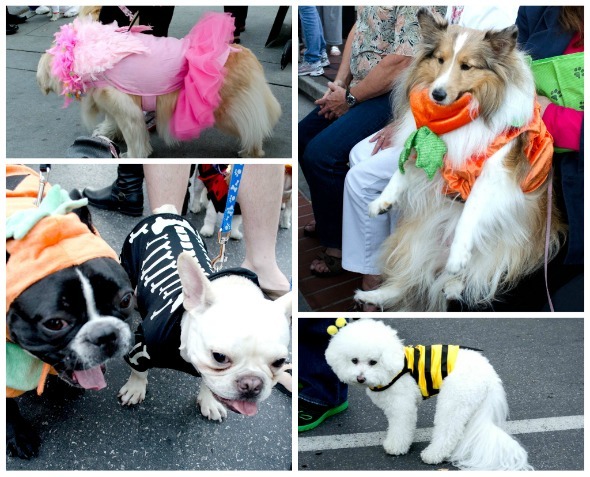 My favorite is the Halloween celebration for Dogs!! It is absolutely amazing how many people participate and how many stores and businesses support everyone who does. Bubba getting some love at the Apple store! 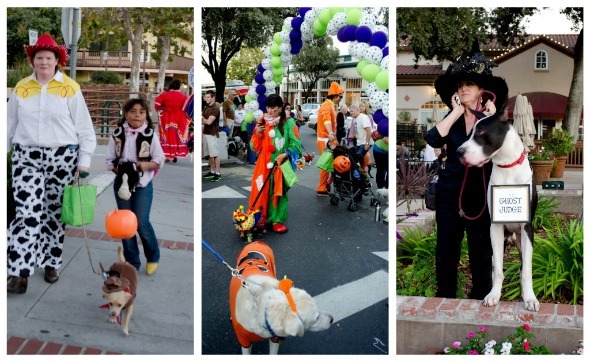 The streets were packed with costumed cuties – it was amazing! I love when owners dress up too – I have to remember that for next year. This pet and owner combo was my FAVORITE! Some of the costume creativity was simply amazing. There were different costume contests for creativity and for “group” designs. Hunter & Westly had a great time…and Bubba…well…he was all smiles. I actually have 2 costumes for Bubba this year. 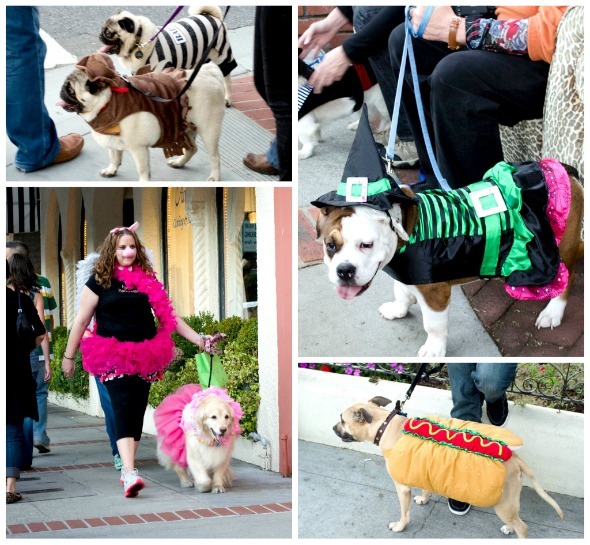 I may save the other for next year – I’m a sucker for buying cute pet costumes when they’re on sale after Halloween. 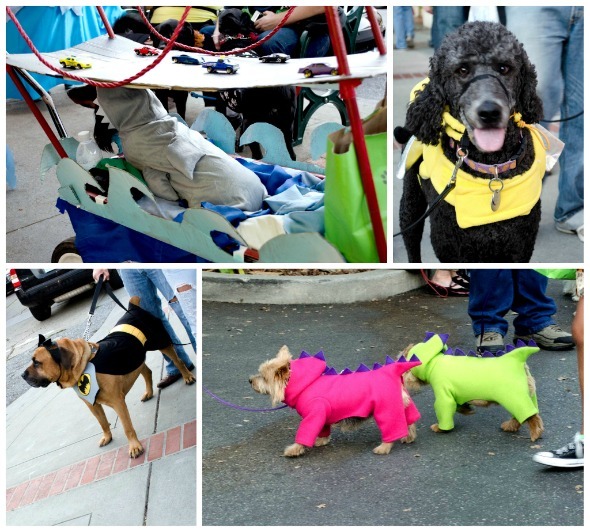 Am I alone, or do you dress up your pets at Halloween? My dog has a ladybug costume. Those pets are so cute! And Bubba always makes me smile. awww a ladybug!! that’s fabulous!!! 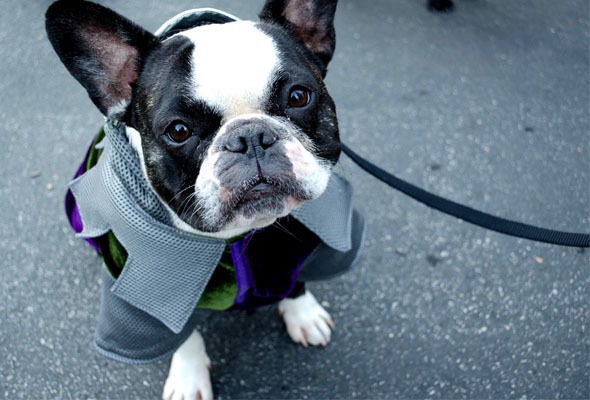 Bubba has a yellow submarine costume too…might have to stuff him in it for a photo!